I made this quick quiche for book club. It’s a really easy vegetarian meal, and it’s delicious at room temperature. I forgot to take a picture after it had cooled, but it looked much better when the eggs had deflated a bit! In a small skillet, saute the shallot in olive oil over medium heat. Season with salt and pepper. Once the shallot is soft, and the spinach and saute until wilted. Remove from heat and allow to cool. In a medium-sized bowl, combine the eggs and milk. 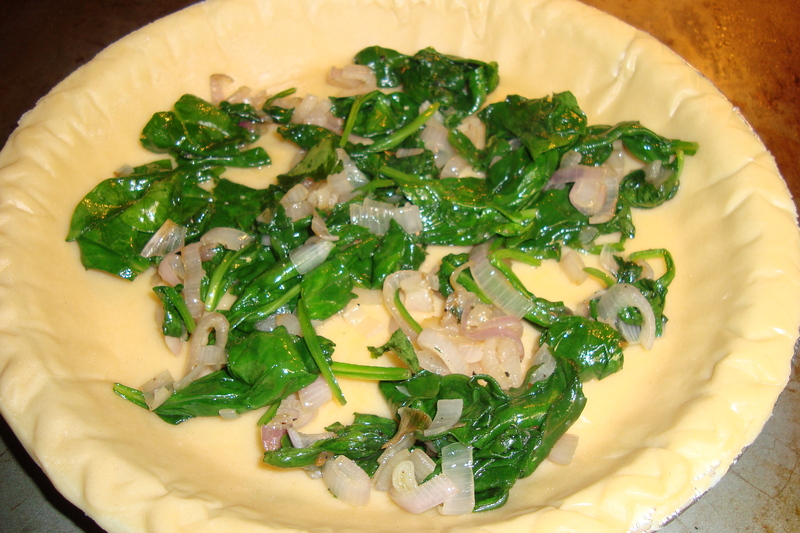 Arrange the spinach mixture and cheese inside of the frozen pie crust, in an evenly distributed layer. 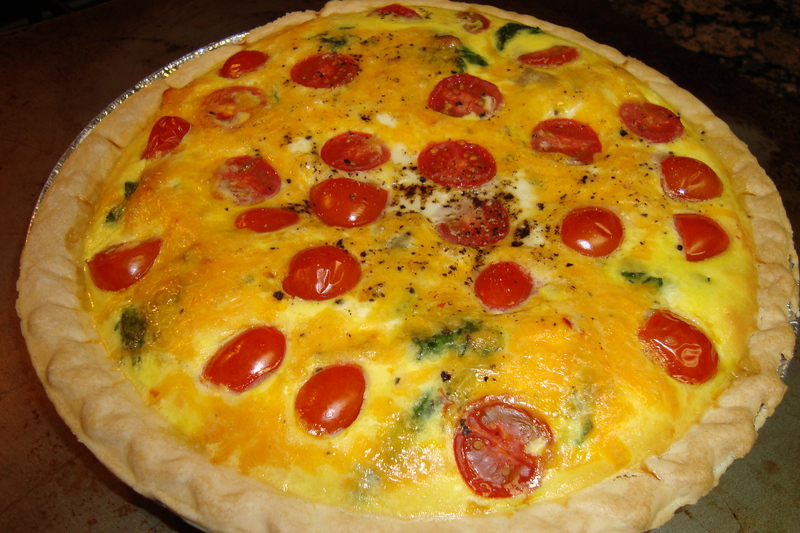 Gently pour the egg mixture over the spinach and cheese, then arrange the tomatoes in the quiche. 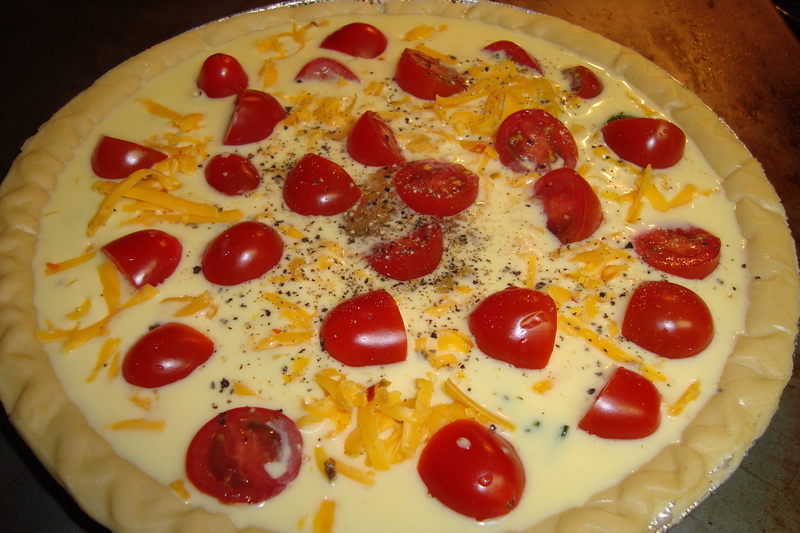 Bake for 40-45 minutes, until the eggs are set and the quiche is golden brown.